Please note this is only intended as a guide - not a fixed set of rules. Don't let it put you off coming hunting if you haven't got exactly the correct kit. You and your horse should arrive clean at the meet. Hunting clothing can be put into two categories; what we wear before the opening meet, known as "ratcatcher" and what we wear from that date onwards. However the followers, staff and masters of the Isle of Wight Hunt have recently been wearing ratcatcher at most meets even in the main season. 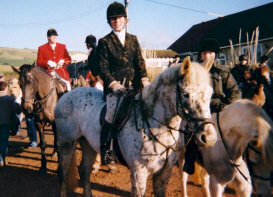 Full hunting kit should be worn at the opening meet, on Boxing Day and on New Year's Day. If you cannot get hold of the correct clothing, don't worry too much but try and be as smart as you can while keeping warm. Show jackets are worse than useless at keeping the cold and rain out and look out of place in the hunting field. If you can't wear full hunting clothes then go for ratcatcher. The correct headwear for most mounted followers is a (hard) bowler hat but now most people wear safety caps or helmets. 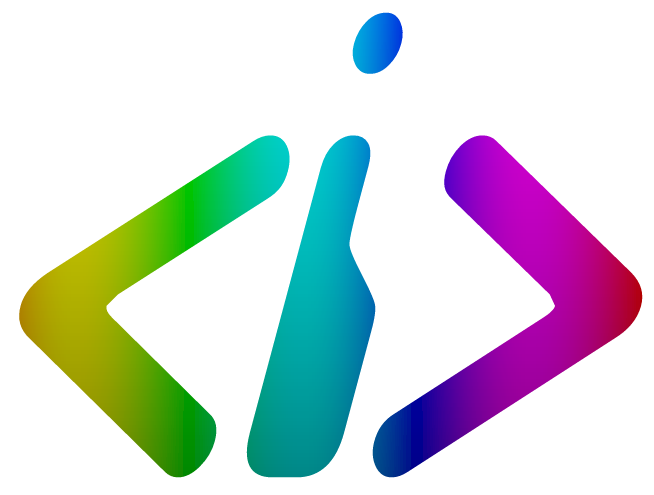 Silks should be in a dark colour such as black or navy. Traditional black hunting caps should only be worn by masters, field masters, hunt staff and farmers but this rule is rarely adhered to these days; navy blue caps have been acceptable for ladies for ages and they look very smart. Riding hats with reflective strips on the front should be kept for show jumping. Turbans should be tied tightly to avoid snagging on branches. Boots should be black, clean and polished. Spurs are correct though not compulsory, as are black garter straps below the knee. Brown boots can be worn as part of ratcatcher. A hunting whip should be carried. They are extremely useful for opening gates and holding them open; as well as dangling in front of your horse to guide hounds around them. All coat buttons should be done up. Bottom buttons of waistcoats should be undone. Ladies should wear hairnets or plait their hair into a pony tail. Gentlemen are expected to have hair short enough not to need to. The only decoration that should be worn on a hunt coat is a poppy before Remembrance Sunday or a black arm band when in mourning. Cap badges should be kept on cloth caps. The exception to this is Pony Club badges on children's hacking jackets. Horses and ponies should be plaited (or hogged). Plaits should be individual and rolled up, not running plaits. Owners of native show ponies may prefer not to plait. Horses and ponies should be regularly clipped; although it is recommended to leave hair at least on the legs for protection. Most followers of the Isle of Wight Hunt would be expected to wear black (or navy for ladies if they choose) hunt coats with breeches or jodhpurs in buff, light brown, cream or yellow (not white). A white hunting tie (stock) should be tied neatly around the neck and pinned down out of sight so it doesn't flap about. The tie should be held in place by a plain safety pin. Ready made stocks should be avoided. Red coats are generally only worn by masters, staff and the field master with the Isle of Wight Foxhounds. Children should wear tweed coats with buff, light brown, cream or yellow jodhpurs or breeches. Clean, polished jodhpur boots or riding boots can be worn but riding boots offer more protection against knocks and thorns. Back protectors may be worn inside or outside the jacket. Horses do not need to be plaited. A correctly tied coloured stock. from the opening meet, but not before. Go and do it again! Ratcatcher is the correct wear for most meets with the Isle of Wight Hunt in the 08/09 season. A well fitting tweed coat is the basis of this with breeches or jodhpurs in buff, light brown or yellow but not white. You can either wear a shirt and neck tie (white shirts are for Labour MPs and funeral directors) or a coloured hunting tie / stock secured with a plain pin. White breeches (unless you are allowed to wear a red coat). This is intended as a guide of what to wear with the Isle of Wight Hunt and is not intended to be a set of rules to abide by. The rules of hunting dress evolved long before people worried about head injuries and before the internal combustion engine increased the danger of our sport. Whereas skull caps and back protectors were almost never seen in the hunting field thirty years ago, they are commonplace now and the rules have had to bend accordingly. Virtually nobody in the hunting field on the Island would be dressed absolutely "correctly" (the author included - I don't wear garter straps).